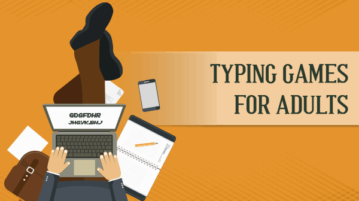 HomePosts Tagged "increase typing speed"
Here are 5 free online typing games for adults. These websites are handy to increase typing speed by just playing the available game. 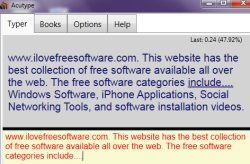 Each website has some different game. For example, while some website provide word game, typing shooting game, others provide car racing game. Acutype is a free typing practice software that helps in increasing your typing speed. You can type text from your own text files to improve typing speed. In this list we talk about 5 free Windows 8 apps that allow you to learn typing as well as increase your typing speed. Check these out! Rapid Typing Tutor is very well designed typing tutor software. It has a colorful interface, and very easy to use. Kids can use as well. Download Free Here. GTypist is a free software to learn typing, and increase your typing speed. It is extremely easy to use, and completely Free. Download Here.